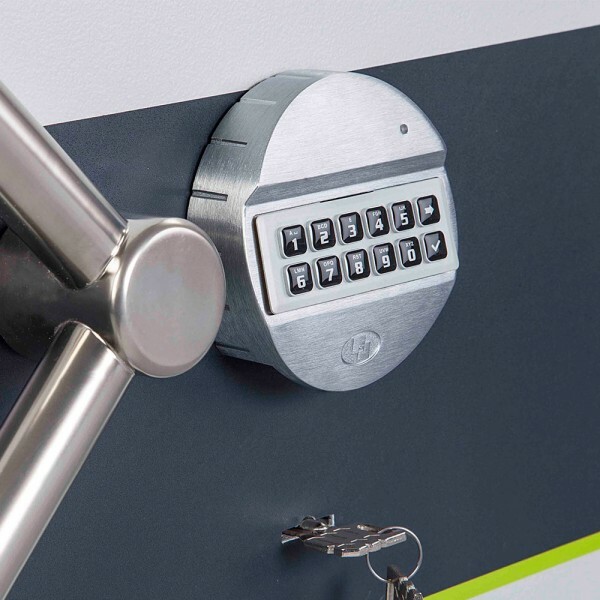 The Burton Eurovault Aver Grade 4 Size 1 Key and Electronic is independently attack tested and certified by ECBS to EN1143-1 Grade 4 and has a cash rating of £60,000 and valuables worth £600,000. It is fitted with an electronic pin lock and key lock with special drill protection of the bolts. The multiple re-locking devices protect it in the case of an attack. It also has a cable hole to easily connect an alarm. The Burton Eurovault Aver Grade 4 has a double walled steel body filled special security composite. 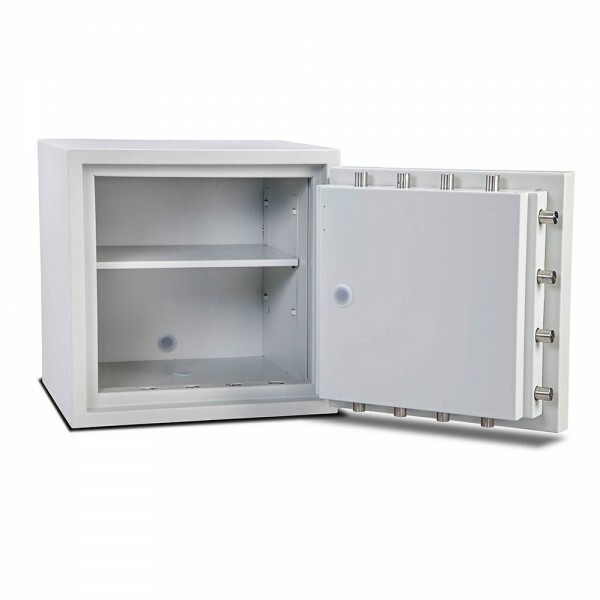 It has 3 way locking bolts and is suitable for base and back fixings.